Though I was not able to attend this years giveaway, due to a previous commitment, I received word of some great accomplishments that happened at the event last Saturday. I am so proud that we were a part of such a great event. It is a great gift being able to share and receive such great blessings while also helping out the community at large. 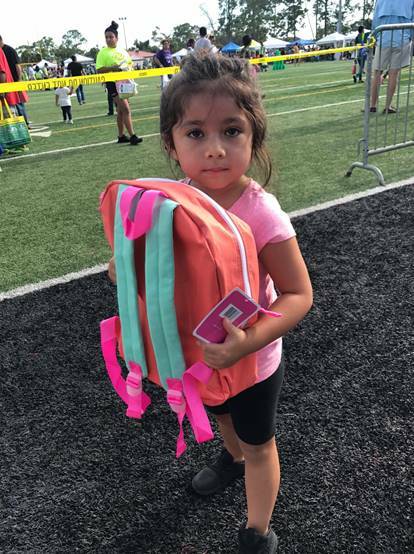 From what I heard, the exhibitors to the volunteers to the vendors lent a hand, and they estimated helping over 2,000 people get ready to go back to school and have one last bash with their families before school begins. I feel it really was a true success in every sense of the word. I know that our staff and volunteers enjoyed themselves as they got to interact with all of the good families who made it out on Saturday. Everyone at Lipman is truly grateful for our support and participation in this event. I hope you all can join us next year. 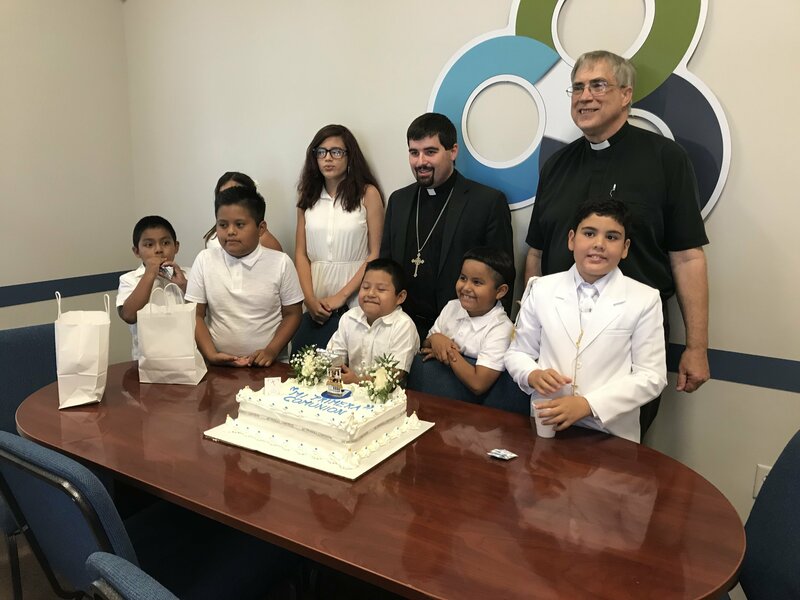 On July 27 and 28, we had 7 First Communion candidates successfully complete their studies and self-examination in preparation to receive the Lord's Supper on July 29th at Amigos en Cristo Church in Estero Florida. These young people went through instruction, self-examination, confession and absolution, and were publicly admitted to receive the Lord's Supper for the forgiveness of sins. It was a great time to see the youth make public profession of their faith and the church to celebrate this joyful reception of members to the Lord's Supper. Our confirmation class will being when school starts as well. This will allow for a continued education of these young people in the way of the Christian faith, life, and practice as they live out their calling as Christians in world. Over the course of the year, you have heard of our recovery efforts for our immigration office due to Hurricane Irma. We moved from Hope Lutheran Church in Bonita Springs to a temporarily location at Thrive Community Church in Estero and now we are pleased to announce our new permanent, yes permanent, home at: 1560 Matthew Drive in Fort Myers. We are in the process of consolidating our immigration offices and bringing all of our immigration employees under one roof for more effective and further outreach to the immigrant population of Southwest Florida. With this said, we would also like to welcome to our staff, Eileen Ortegon, who has accepted the position of Immigration Administrative Assistant. We hope as we continue to grow and set down deeper roots in our new permanent location, we will be more efficient and effective in the way we help the people of Southwest Florida. We are excited and truly grateful to everyone who made this possible. We will be hosting a Grand Re-Re-Opening and Dedication Open-House on: October 24 from 4pm - 7pm. Hope to see you there. What a good and gracious God we have, even in the midst of the recent storms! This is the God of whom the Psalmist sang, “made the storm be still, and the waves of the sea were hushed” Ps. 107:25. Hurricane Irma is history, but her effects will be long felt. Here is just a little insight as to the effects Irma has had on the Amigos Center and Southwest Florida. 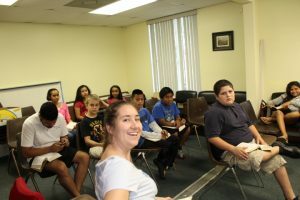 Sad to say, we did not fair too well at the Amigos Center in Bonita Springs. It is now wet, moldy and in need of rehab before it can open again. We put two tarps over it to mitigate any further rain damage and packed most things up in preparation for a move to another facility. We still need to remove the wet carpets and ceiling tiles. Thankfully, all of the electronics at this facility are still in good working order. The building now has electricity, but no telephone/internet. I don't know yet where we will be able to reopen, however, Lyndsay and Evelyn have returned to work this past Monday. They expect to begin seeing clients sometime next week. This is important as the DACA renewals must be done by October 5, so it is urgent that we reopen in some temporary place ASAP. 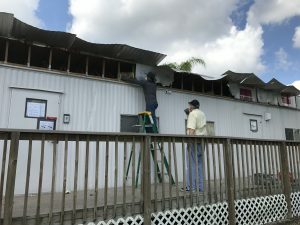 Our Amigos Center in Fort Myers was infested with mold, due to the recent weather. Property Restoration was working to address these problems and now we are functioning normally at this facility. 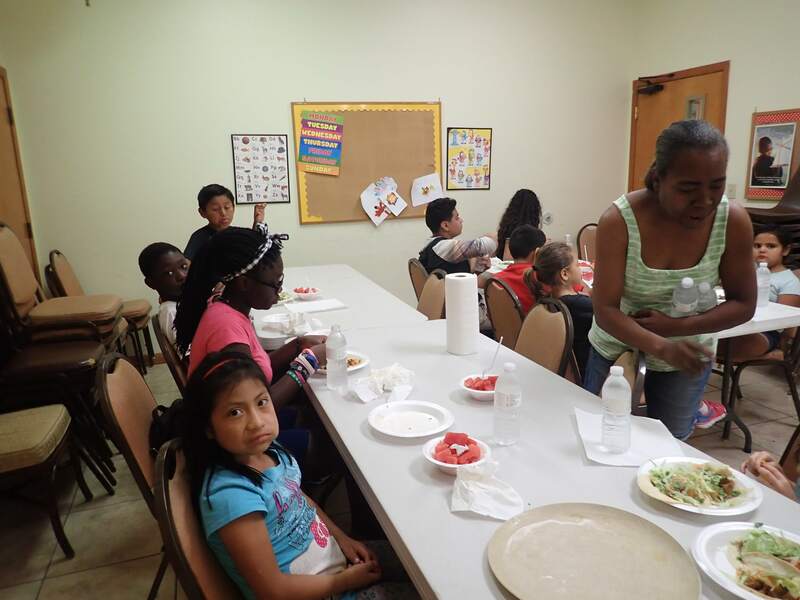 Our Amigos Center in Immokalee weathered the storm well. 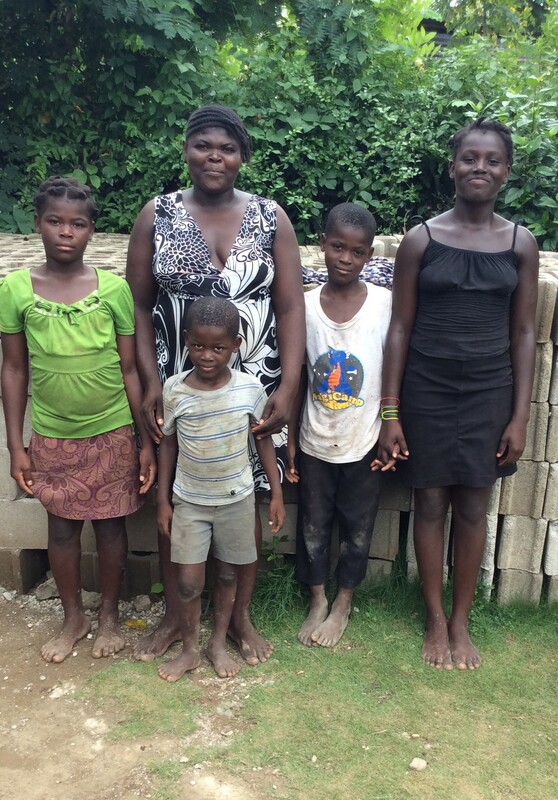 Pastor Selle and his family stayed there during the hurricane. Electricity has finally been restored and there are some new leaks in the roof. No other damage to building itself. However, one tree fell and broke one of our outdoor light poles and smashed the fence. Karl and volunteers opened this past Wednesday morning to allow Harry Chapin to distribute water, ice and MREs for those in and around Immokalee who were in need. They have opened several times in order to assist further. We have lots of people calling and wanting to donate items and are offering to help. We are asking them to call Karl. Starting next week we will put Tulisha, one of our key volunteers, at 20 hours a week to handle food distributions. That will allow Karl to focus on lining up work projects for Immokalee families who suffered damage to their homes. We will hold our regular worship services this Sunday. 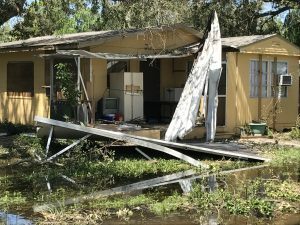 Our personnel weathered the storm, but like many here in Southwest Florida, have damage in one form or another. One of our legal assistance, Evelyn, lost a portion of her trailer home in Rosemary Park. Also, our attorneys Lyndsay and Christina, experienced some water damage at their respective homes. Karl is still dealing with clearing his house from storm damage and Seth is dealing with downed trees and recently had power restored. Pastor Andre and Pastor Saint Luc suffered some damage to their homes as well, but are continuing to serve their roles at the Amigos Center. By the grace of God, we are receiving some significant help from LCMS Disaster Relief. We are working on a $25K grant for relief work, as they already gave us $3,500 in VISA gift cards, which we have already begun distributing to those in need. More financial help is available upon request. This past Thursday, the LCMS Disaster Relief dropped off a semi-truck load of supplies at Zion Lutheran (diapers, tools, generators, tarps, etc.) We used some of it for the Bonita Springs Amigos Center. They are stationing two point people at Zion Lutheran in Fort Myers to help coordinate needed relief supplies. Volunteer work crews are already here with more to arrive next week. Thanks be to God for his mercy endures forever. Now is a great time to gather and rejoice in how our gracious God held us safely through the storm. Even if you, like so many others, had some damages from the wind and water, all of the material things can be replaced, but God alone preserves life! You may have been without electricity, but you have had power all along with Jesus by your side! If you feel you want to give of your time, talents, or treasures for recovery efforts, please contact Karl Glander at (239) 293-1489 or follow the prompt below to donate. Vacation Bible School (VBS) is a ministry outreach churches provide to educate children about God and all He has done for us. 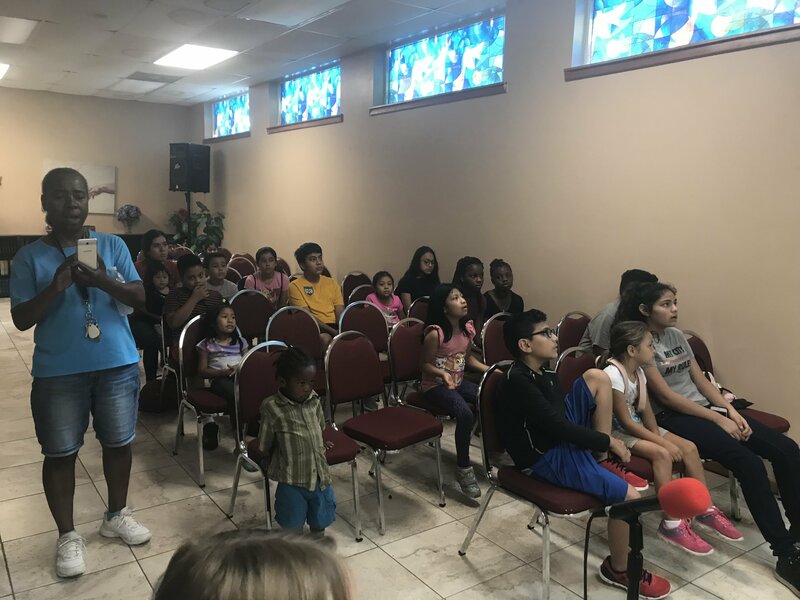 On a rainy June 7th the Amigos Center in Immokalee had a delightful and eager crowd of kids ready to have fun and learn more about their Lord and Savior. The theme this year was “A Mighty Fortress" in commemoration of the Lutheran Reformation - 500 years ago. 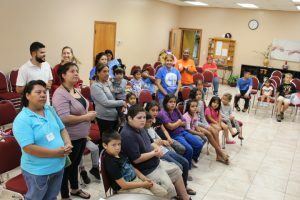 Each day totaled 22+ kids and over 14 adult volunteers from Immokalee Lutheran Church and the Amigos Center who assisted to make this VBS possible. The ages of the kids ranged from pre-school to sixth grade. VBS has been held at this location for the past 2 years and continues to grow each year. 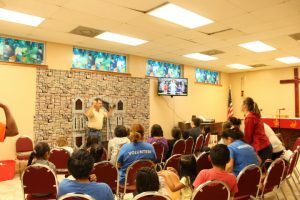 This Vacation Bible School was a wonder opportunity for kids to socialize and learn more about religion in a relaxed and fun setting. V.B.S. has something for everyone, despite each person's religious views. While activities are centered around teaching kids about God, V.B.S. combines fun and learning without the formality of a Sunday service. 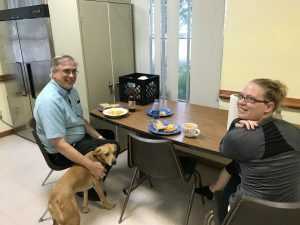 This event was provided free to the public because of the gracious donations given by members of Immokalee Lutheran Church and donations received by the Amigos Center. We cannot thank you and the volunteers enough for your prayers and support. Thank you for taking the time to let us know that you plan on attending our 20th anniversary Fundraising Luncheon at noon, on Wednesday, March 22, 2017. By Rev. 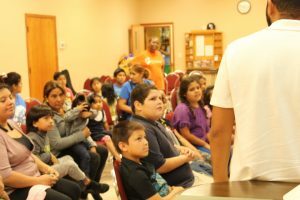 Robert Selle Immokalee, FL – Experience Thanksgiving like never before with our staff and the whole Immokalee community this Thanksgiving holiday. 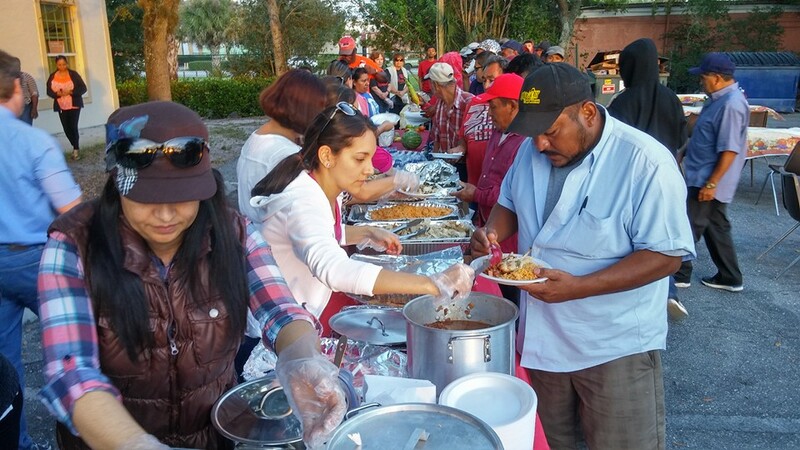 On Tuesday, November 22 at 4:00 PM we will begin serving a hot turkey meal in the parking lot of the Immokalee Amigos Center. Come early and help. Contact Pastor Bob at (239) 281-1664 for more information. BONITA SPRINGS, FL - Our mission is to "Heal our community, Mind, Body and Spirit". Our community is our church congregations and beyond to the cities of Bonita Springs and Estero. This involves assessing our communities health needs, identifying community resources, health curriculum, and programs to address these needs. This requires building community partnerships with health-providers, schools, city governments, non-profits, neighborhoods and businesses to create and provide health promotion activities and training. The Faith Community Nurse Ministry is holistic encompassing physical, mental, emotional, and spiritual needs. It is bible based. Christ was and is the greatest healer who can accomplish anything. It is leading by example, demonstrating God’s love in all that we do. It is compassionate, giving hope to those who suffer. It is what Christ calls us to do! Please feel free to contact Sheila F. Morales, Faith Community Nurse @ 239-919-2295 or sheila@hopebonita.org if you have questions of want to get involved in making our community healthy! 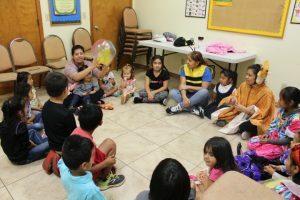 FORT MYERS, FL – Amigos Center is one of three local non-profits chosen to be a recipient of a unique fundraising event being organized by a group of Hispanic community leaders. Members of the Hispanic Heritage Festival & 5K events committee are pleased to invite the Fort Myers community and surrounding areas to celebrate Hispanic Heritage Month by honoring generations of Hispanic Americans living in Southwest Florida, for their tremendous contributions to our culture and economy. 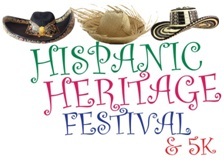 The Hispanic Heritage Festival & 5K, presented by Fuccillo Kia of Cape Coral, takes place at Centennial Park on Saturday, September 24 starting at 7:30 a.m. for the 5K and will be an all-day event. Event organizers and supporters plan to transform Centennial Park in Downtown Fort Myers into a diverse Latin entertainment arena, showcasing food, live music, arts, and culture. What’s more, several local nonprofits, including Abuse Counseling and Treatment, Inc. (ACT), CCMI, the Multicultural Centre and Amigos Center will benefit from the proceeds made from the 5K and soccer tournament. Sponsorships from local businesses are now being accepted. In addition, all are invited to create teams for the 5K. Registration fees for the 5K start at $25. To find out more about how to become involved, please visit http://hispanicfestivalfortmyers.com/. Monday through Thursday mornings we have many children in our Immokalee Amigos Center that would love to have you read to them. 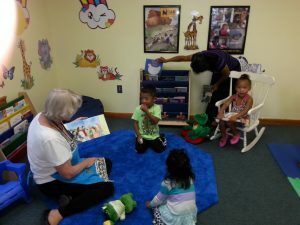 Our Storytime Nanas meet with the kids while their parents are occupied in our Amigos Center. 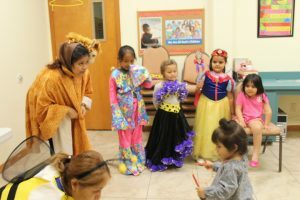 They meet in a kid friendly area of the Amigos Center where they can choose a book they can read and take home, play, enjoy a snack, crafts, etc. The kids love it and so will you. Call Donna for information (239) 281-1665. There is so much happening at Amigos en Cristo. We love sharing with you all of the blessings God has given us these past few months. We have several things for which to be thankful. 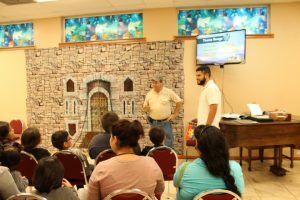 This past week, Pastor Karl and his team at the Immokalee Amigos Center hosted the Summer Vacation Bible School: Splash Canyon. This past Saturday, Karl and his team also participated in a Backpack Giveaway event sponsored by Lipman Family Farms in Immokalee. For just over a month, I had the opportunity to teach 7 young people and they were able to receive First Communion last Sunday. We anticipate a confirmation class forming in the upcoming weeks as well. Also, we have a new permanent, yes permanent, location for our immigration staff to call home and we have also hired on a new staff member to assist us at this new location. Lastly, we have been in talks with Beautiful Savior Lutheran Church in Lehigh, Florida to help launch a new mission start. This will help me fulfill part of my call to Amigos en Cristo to start new ministries and to help Anglo churches do effective ethnic outreach. with Moses the whole time. We learned about the Israelites entering the Promised Land, and we ended with the baptism of our LordJesus. Through all of these lessons, we explored just how big and wide the Love God has for us. 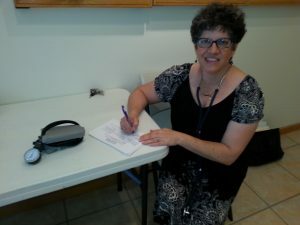 Though I was not able to attend this years giveaway, due to a previous commitment, I received word of some great accomplishments that happened at the event last Saturday. I am so proud that we were a part of such a great event. It is a great gift being able to share and receive such great blessings while also helping out the community at large. 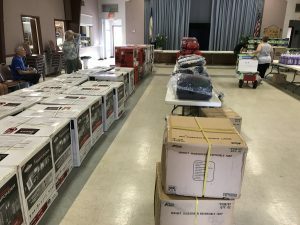 From what I heard, the exhibitors to the volunteers to the vendors lent a hand, and they estimated helping over 2,000 people get ready to go back to school and have one last bash with their families before school begins. I feel it really was a true success in every sense of the word. I know that our staff and volunteers enjoyed themselves as they got to interact with all of the good families who made it out on Saturday. Everyone at Lipman is truly grateful for our support and participation in this event. I hope you all can join us next year. On July 27 and 28, we had 7 First Communion candidates successfully complete their studies and self-examination in preparation to receive the Lord’s Supper on July 29th at Amigos en Cristo Church in Estero Florida. These young people went through instruction, self-examination, confession and absolution, and were publicly admitted to receive the Lord’s Supper for the forgiveness of sins. It was a great time to see the youth make public profession of their faith and the church to celebrate this joyful reception of members to the Lord’s Supper. Our confirmation class will being when school starts as well. This will allow for a continued education of these young people in the way of the Christian faith, life, and practice as they live out their calling as Christians in world. Over the course of the year, you have heard of our recovery efforts for our immigration office due to Hurricane Irma. We moved from Hope Lutheran Church in Bonita Springs to a temporarily location at Thrive Community Church in Estero and now we are pleased to announce our new permanent, yes permanent, home at: 1560 Matthew Drive in Fort Myers. We are in the process of consolidating our immigration offices and bringing all of our immigration employees under one roof for more effective and further outreach to the immigrant population of Southwest Florida. 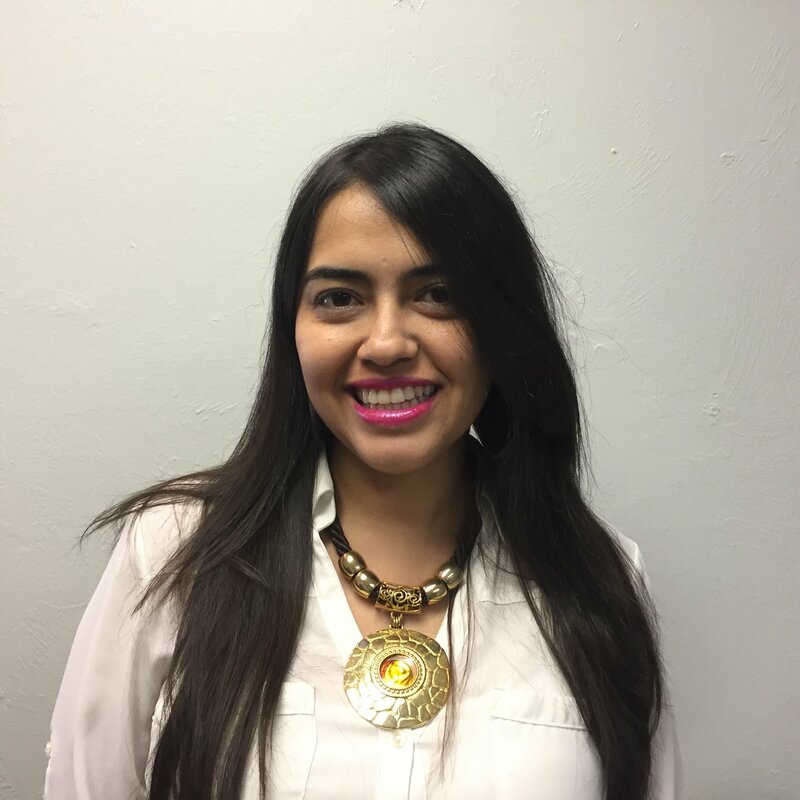 With this said, we would also like to welcome to our staff, Eileen Ortegon, who has accepted the position of Immigration Administrative Assistant. We hope as we continue to grow and set down deeper roots in our new permanent location, we will be more efficient and effective in the way we help the people of Southwest Florida. We are excited and truly grateful to everyone who made this possible. October 24 from 4pm – 7pm. 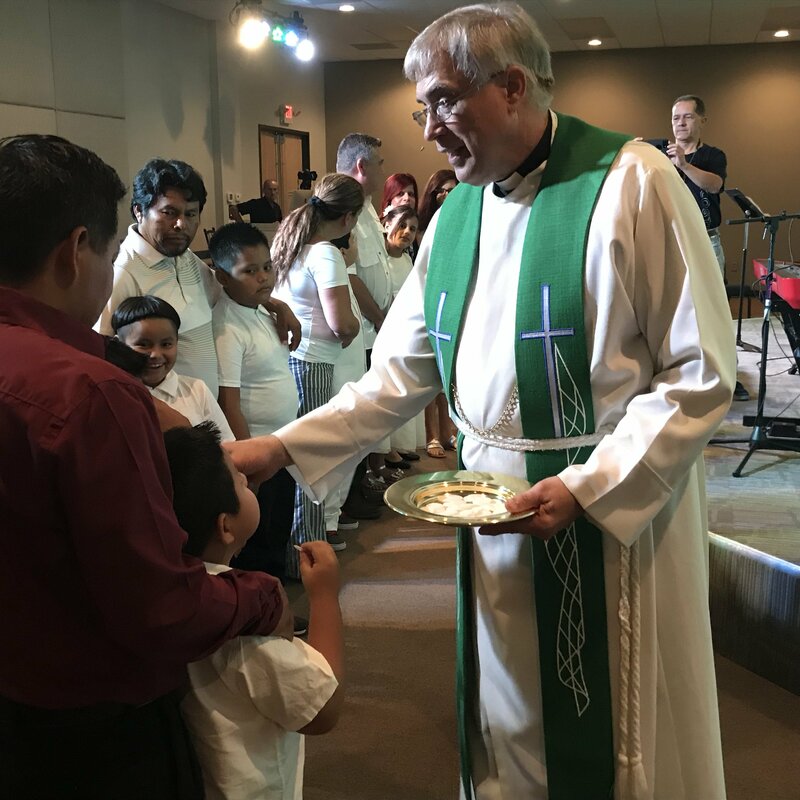 In furthering our mission, “To help immigrants to an abundant life an d the kingdom of God,” we have began to partner with Beautiful Savior Lutheran Church in Lehigh Acres. 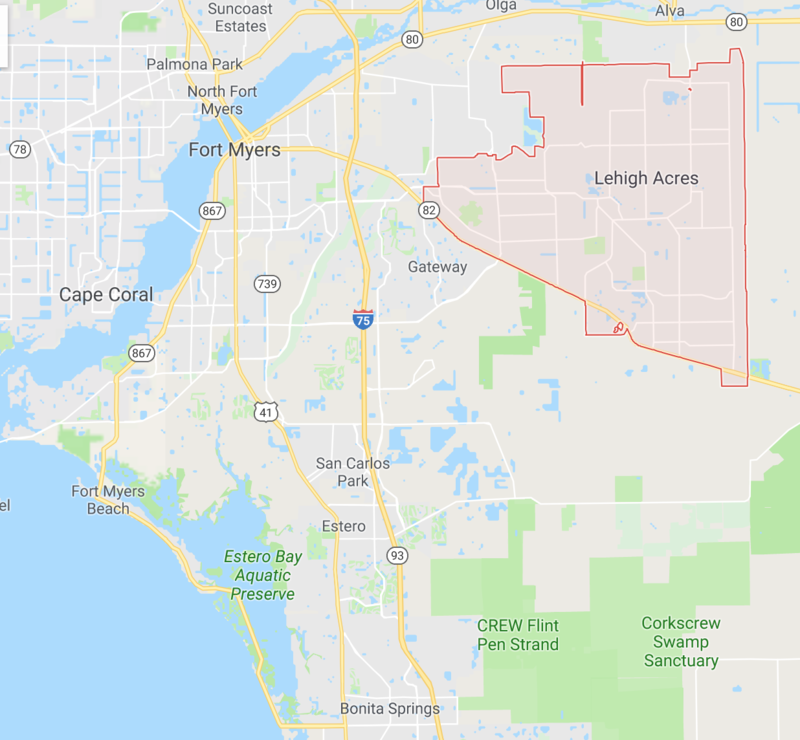 This new “Mission Start – Lehigh,” will help me to fulfill part of my calling in helping to start one of the two multicultural ministries, one being out in Lehigh Acres, Florida. We look forward to seeing where the Lord directs and guides our planning. We will keep you posted as things start to develop. I pray that God continues to bless our work here and that God would continue to bless you as you all have been a blessing to us. 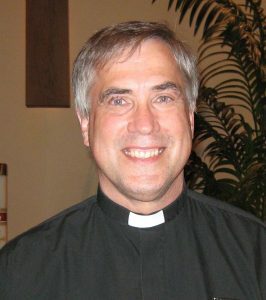 And as we are directed by God to continue to teach the faithful, reach the lost, and care for all; please continue to keep us in your prayers and pray that God would open the hearts and the minds of those we meet to receive the Good New which is Jesus Christ; His life, death, and resurrection for us all. God be with you now and always. I don’t know yet where we will be able to reopen, however, Lyndsay and Evelyn have returned to work this past Monday. They expect to begin seeing clients sometime next week. This is important as the DACA renewals must be done by October 5, so it is urgent that we reopen in some temporary place ASAP. Vacation Bible School (VBS) is a ministry outreach churches provide to educate children about God and all He has done for us. 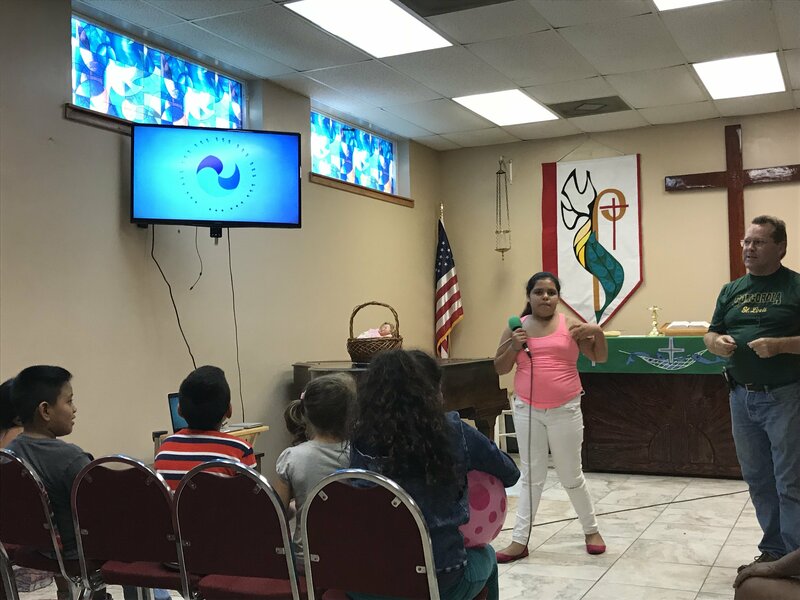 On a rainy June 7th the Amigos Center in Immokalee had a delightful and eager crowd of kids ready to have fun and learn more about their Lord and Savior. The theme this year was “A Mighty Fortress” in commemoration of the Lutheran Reformation – 500 years ago. 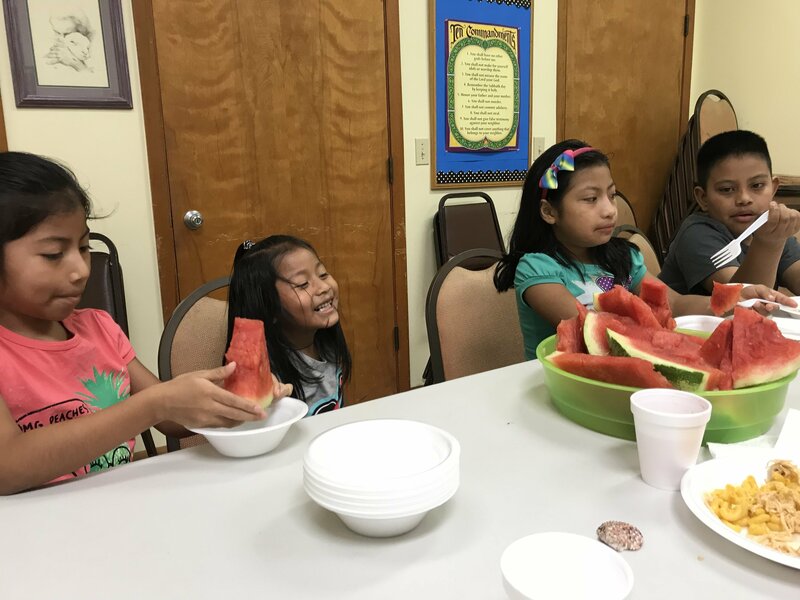 Each day totaled 22+ kids and over 14 adult volunteers from Immokalee Lutheran Church and the Amigos Center who assisted to make this VBS possible. The ages of the kids ranged from pre-school to sixth grade. VBS has been held at this location for the past 2 years and continues to grow each year. 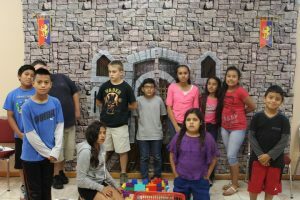 This Vacation Bible School was a wonder opportunity for kids to socialize and learn more about religion in a relaxed and fun setting. V.B.S. has something for everyone, despite each person’s religious views. While activities are centered around teaching kids about God, V.B.S. combines fun and learning without the formality of a Sunday service. 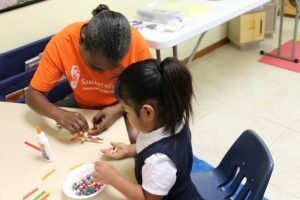 This event was provided free to the public because of the gracious donations given by members of Immokalee Lutheran Church and donations received by the Amigos Center. Diego’s kind words are very gratifying. Over the 13 years since he arrived in the United States with nothing, he and his family have established three Metro PCS stores and have proven themselves as faithful servants of Jesus Christ and members of our Amigos en Cristo church. Thank you for helping make our ministry possible. Last month I announced the launching of our 20th Anniversary Challenge Grant; any donation given in November and December of this year that exceeds the amount given in 2015 will be matched up to a maximum of $20,000. I am pleased to report that through December 15 we have received $15,451 in qualified donations. We still have a couple of weeks to go to meet our $20,000 goal. Immokalee, FL – Experience Thanksgiving like never before with our staff and the whole Immokalee community this Thanksgiving holiday. On Tuesday, November 22 at 4:00 PM we will begin serving a hot turkey meal in the parking lot of the Immokalee Amigos Center. Come early and help. Contact Pastor Bob at (239) 281-1664 for more information. 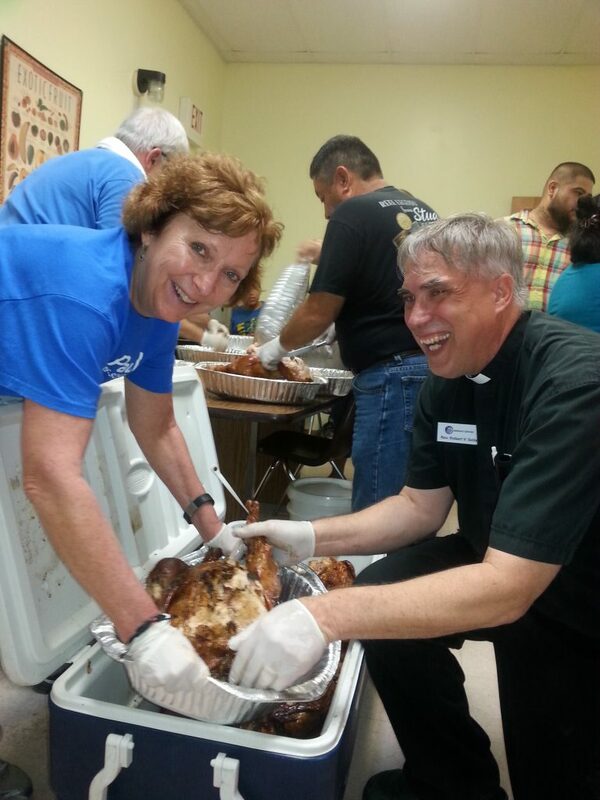 Sheila Morales is a full-time Parish Nurse at Hope Lutheran Church and Hope’s Hispanic ministry, Amigos en Cristo. BONITA SPRINGS, FL – Our mission is to “Heal our community, Mind, Body and Spirit”. Our community is our church congregations and beyond to the cities of Bonita Springs and Estero. This involves assessing our communities health needs, identifying community resources, health curriculum, and programs to address these needs. This requires building community partnerships with health-providers, schools, city governments, non-profits, neighborhoods and businesses to create and provide health promotion activities and training. The Faith Community Nurse Ministry is holistic encompassing physical, mental, emotional, and spiritual needs. It is bible based. Christ was and is the greatest healer who can accomplish anything. It is leading by example, demonstrating God’s love in all that we do. It is compassionate, giving hope to those who suffer. It is what Christ calls us to do! Please feel free to contact Sheila F. Morales, Faith Community Nurse @ 239-919-2295 or sheila@hopebonita.org if you have questions of want to get involved in making our community healthy!